Here are the latest rumours and headlines around the Premier League. Manchester United will trigger Toby Alderweireld's 25m release clause at Tottenham - but the Red Devils are yet to make contact with Spurs over the 30-year-old Belgium defender. 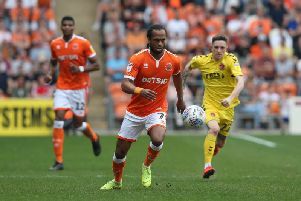 Nathan Delfouneso happy to sign new Blackpool deal when "everything is right"